Get Documents Your Signed. Now. Cut the cost and hassle of getting paper documents signed. Replace your old system with fully integrated electronic signatures for your forms and workflows. Generate PDF agreements on the fly and get them signed instantly. Our PDF document signing tools allow you to conditionally assemble your documents, merge multiple PDFs together, and send them out for signature. We work with the world's leading e-signature provider, Adobe© Sign. This top-of-the-line features lets you streamline digital signature collection, saving you time and money. Choose between basic inline signatures and Adobe© Sign. These flexible choices, combined with our dynamic PDF document generation, provide you the PDF management solutions your business needs. Populate your business' PDF forms, and send them out for signature with Adobe© Sign. 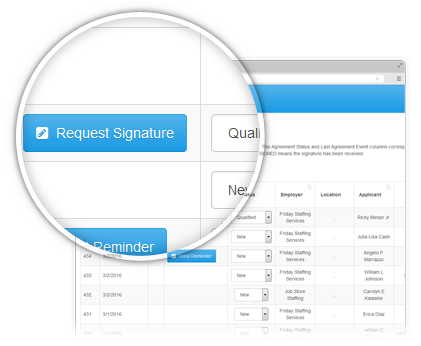 Our PDF signature options support multiple signers and countersigning. 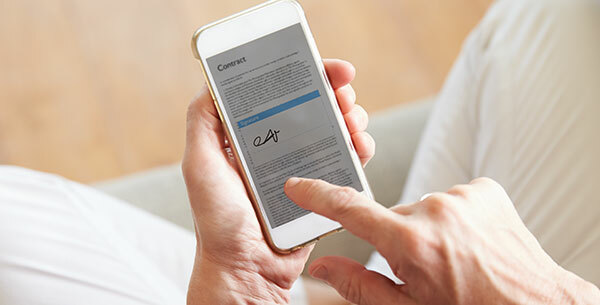 Ideal for mobile platforms, our inline signature tools let your customers sign with their finger or use their mouse to sign your customized forms. Build automated alerts and responses when customers sign your documents, and move your signed documents through your business' custom workflow. Our signing tools help you do more than just get a document signed. Use our platform to listen for signing events, trigger the next step in your workflow, and send reminders to sign. When you integrate with our Publishing & Workflows System, you can send agreements for signature only after your custom workflow internally approves them. Integration with our Data Trigger system means you can hook into the 'ESIGNED' event, create additional custom logic, and automate processing. With both of these systems, you'll be able to design workflow options to maximize efficiency for your business' document management. Agreements signed by Adobe© Sign are Legally Binding and have the same legal validity and enforceability of pen-and-paper documents. 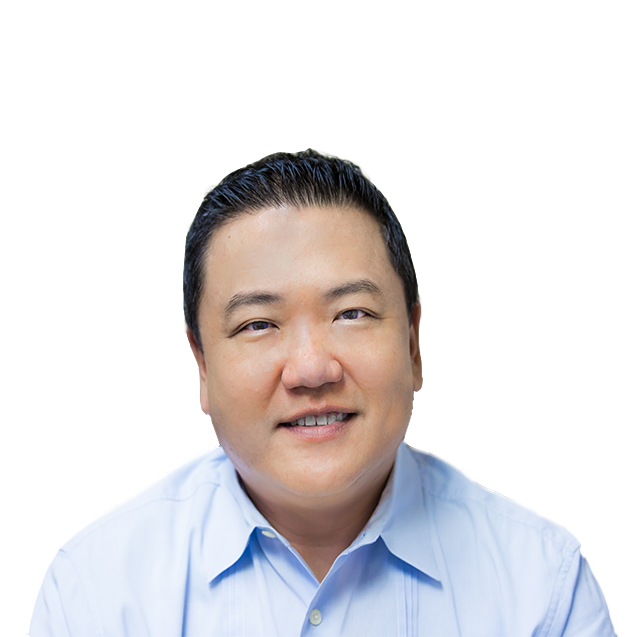 Compliant with U.S. and International e-Signature Laws. A detailed audit trail that lists all events and actions taken by the participants is stored together with the document. You may choose to include the audit trail in the 'signed and filed' email sent to all parties. Sometimes you don't need a sophisticated Adobe© Sign solution. You need a basic, cost-effective, easy-to-use inline signature element. You don't need Adobe© Sign when using our inline signature element. Just add the inline signature element directly to your form. It will display a signature area your users can sign, using their mouse or their finger. It works easily on any device. Our business' PDFs are automatically generated. Our electronic signatures collected in real time. Before we starting using Logiforms' platform, each application required 90 minutes of employee time. Now, we have it down to 20 minutes per application! Our sales team is closing more sales every day.